As far as context goes, the recently completed T20I series between India and Australia may hold significant relevance in the increasingly hectic modern-day cricket calendar. However, the 3-match rubber which ended in a 1-1 stalemate, may just have opened a fascinating debate surrounding Australia's captaincy in the shortest format of the game. With a shoulder injury resulting in regular skipper Steven Smith returning home, the visitors were led by the exuberant David Warner. After looking worse for wear in the preceding ODI series, a serendipitous change in leadership saw the tourists metamorphosing into a competitive unit in the T20I series. Admittedly a couple of matches may not provide a reasonable sample size. But the signs emanating from those two games can be utilised as a starting point to discuss a possible change at the helm of affairs. 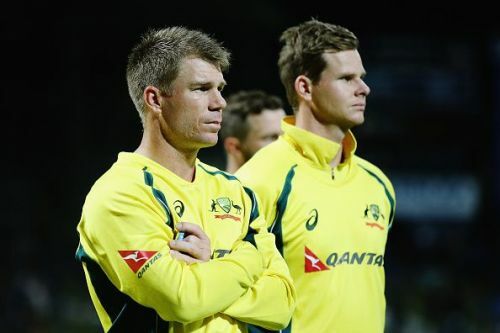 Here are five reasons why Warner should immediately replace Smith as Australia's T20I captain. The inherent nature of T20 cricket demands a captain to think on his feet and adapt quickly to the flowing dynamics. In such regard, Smith can often be found wanting during certain situations. For example, the first ODI against India at the MA Chidambaram Stadium in Chennai saw him remove his team's vice-like grip and allowed the hosts to recover from a precarious position. Smith's inexplicable decision to pull a soaring Nathan Coulter-Nile out of the attack and introduce Adam Zampa into the firing line stemmed from a defensive approach. While such tactics may allow a team to get back into the contest on certain occasions in the other two formats, the brevity of T20Is necessitates a more pro-active mindset. In sharp contrast, Warner let Jason Behrendorff complete his full quota of four overs and also backed his other seamers to bowl out a strong Indian batting lineup during the second T20I at the Barsapara Cricket Stadium in Guwahati. His attacking tactics propelled Australia to a comprehensive 8-wicket victory.